Bulletproof Coffee: Can This Drink Really Boost Brain Power & Increase Fat Burning? So, there’s this trend in the health community right now called Bulletproof Coffee (or butter coffee). But, unlike most trends, I’m predicting this one will be around for a while (I’ve been drinking it for 2+ years now). It works for weight loss, mental clarity, increased & sustained energy, curbing your appetite, and much more. In fact, it’s almost too good to be true. Almost. If you’ve followed my blog or social media long enough, you know I’m a huge fun of Bulletproof Coffee! I’ve even created a FREE PDF (at the end of this blog post) of my 11 Favorite Bulletproof Drink Blends. So, what exactly is Bulletproof Coffee? In a nutshell, the original Bulletproof Coffee recipe is a blend of high-quality coffee, grass-fed butter, and MCT Oil or Coconut Oil blended together to form a rich and creamy brain-boosting beverage. I already know what you’re thinking… butter & oil in my coffee?!?! 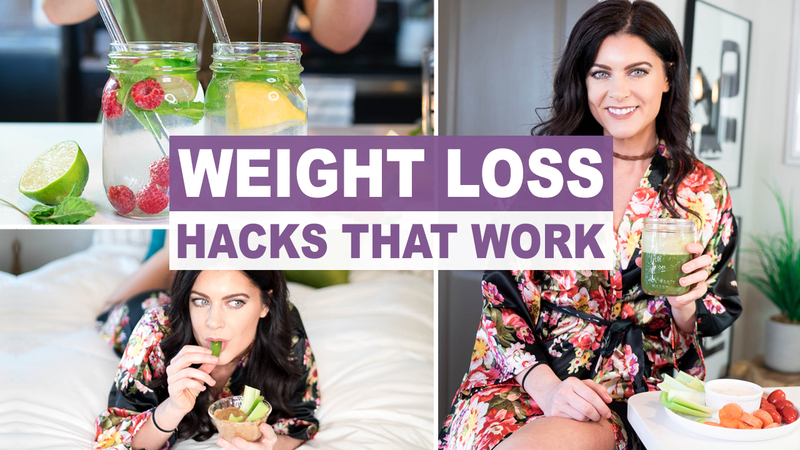 The idea is that when you combine healthy fats with a cup of high quality coffee, it allows your body to stay in a fasted state (since you’re not spiking blood sugars or insulin) which, in turn, keeps you in fat-burning mode longer. 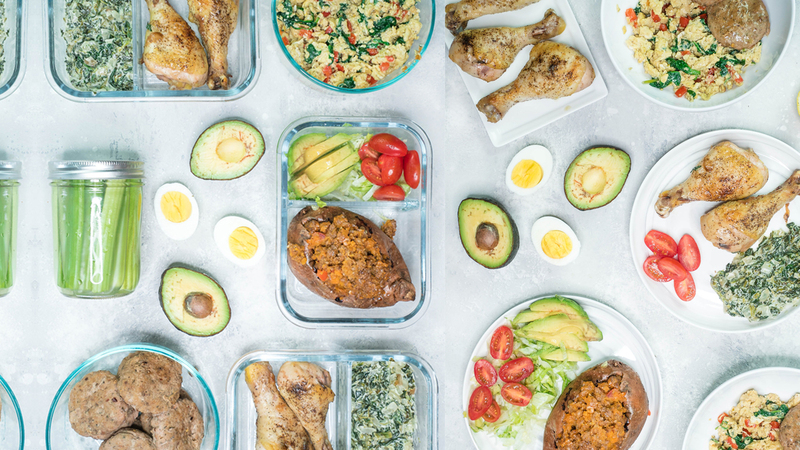 The goal is to mimic the effects of intermittent fasting where you go so many hours without spiking your insulin. The ideal amount of hours you should go is 16+ if you really want to see the benefits of intermittent fasting. For example, if you have dinner at 7pm, then you shouldn’t have your first meal until 11am. But, having a bulletproof coffee before then is completely fine. So, it’s sort of like “cheating the system” while still yielding the benefits of intermittent fasting (i.e. weight loss, increased energy, better digestion, etc.). And, the healthy fats in the Bulletproof Coffee will keep you full until it’s time for your first ‘real’ meal of the day. Yes. But… and this is a big but… it’s important to use high quality ingredients to yield best results. If you’re still using low quality beans for your morning cup of joe, then sweetheart you are sipping on a delicious cup of pesticide residue (eww!). Did you know that coffee is one of the most chemically treated crops in the world? It’s sprayed heavily with pesticides, herbicides, fungicides, etc. All of which can lead to a slew of health issues. If coffee is something you consume regularly, then you should really think about upgrading to a high quality coffee in order to reap the full benefits of coffee (and to avoid toxic chemicals). Coffee can either be a superfood or a health-robbing food… depending on its quality. Organic coffee is always a major plus since it’s not treated with toxic pesticides, herbicides, etc. However, if you want to upgrade even more, then Bulletproof coffee beans are the way to go. Personally, I use the coffee beans from Bulletproof because they’re the only ones that don’t give me headaches. If you’ve had to quit your love affair with coffee due to headaches or other negative side effects of coffee consumption (even with organic beans), then you may be able to tolerate Bulletproof coffee beans. The founder of Bulletproof, Dave Asprey, makes an interesting point that many coffee beans contain mycotoxins (mold) and the mycotoxins are what actually cause many of the negative side effects people get with coffee consumption (i.e. headaches, brain fog, withdrawal, etc.). The Bulletproof coffee beans are grown and produced in a way that reduces these mycotoxins drastically, which is great news for those (like myself) who are apparently sensitive to these molds. One main ingredient in bulletproof coffee is a high quality MCT Oil. Medium Chain Triglycerides (MCTs) are a type of fatty acid found in foods, such as coconut oil, and are easier to digest than long chain triglycerides (LCTs). 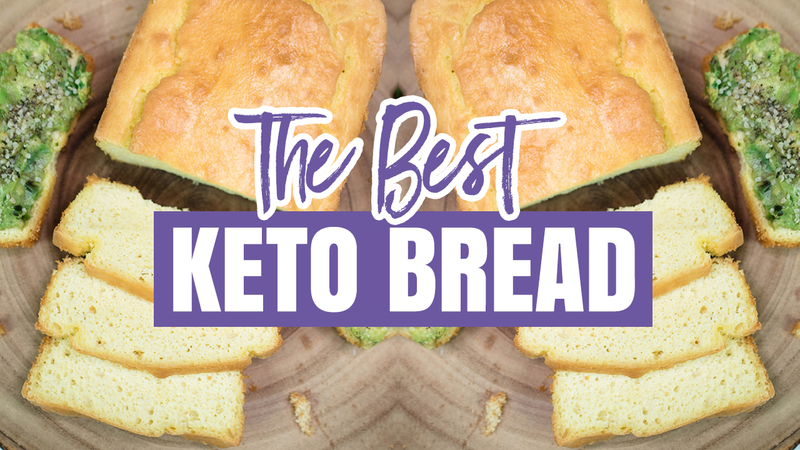 MCTs are broken down and converted into energy (in the form of ketones) very quickly, which allows your body to run on fat instead of carbs/sugar. They provide a very clean form of energy that’ll last you hours. Plus, a high quality MCT oil will increase fat-burning and brain power drastically. While coconut oil is a great source of MCTs, it only contains about 65% on average. So, if you want to increase your consumption of MCTs without increasing calories, then supplementing with MCT oil is ideal. Sure, you can choose any MCT oil you’d like. But, if you really want to maximize the full potential of MCTs, then Brain Octane Oil is the way to go. Of course, I was a total skeptic when I first heard Dave Asprey claim that the Bulletproof Brain Octane Oil was “more upgraded” or potent than other MCT oils on the market. But, being that my job as a Holistic Nutritionist is to refer my clients and readers to the best products on the market, I reluctantly gave it a try. And, after comparing the Brain Octane Oil to an MCT oil from my local health food store, I will say that there were very noticeable differences. The biggest difference I noticed was the difference in mental clarity. The Brain Octane Oil definitely delivered on the mental clarity, focus, and brain power in comparison to the other MCT oil. I also noticed that the Brain Octane Oil seemed to control my appetite better. For instance, I was able to go about 1-2 hours longer in the mornings without food than I did with the other MCT oil. So, needless to say, I’m now a firm believer in the superb quality of Brain Octane Oil. If you want a full breakdown on Brain Octane Oil VS Coconut Oil VS MCT Oil, then read this article. So, what about the grass-fed butter? Adding the grass-fed butter to the coffee increases the ketogenic effects (using ketones as fuel) since it’s a saturated fat and also contains a small amount of MCTs. The main reason I love adding the butter is because it’s a great source of fat-soluble vitamins, including vitamins A, E, and K.
It’s important to use butter derived from grass-fed cows. Conventional butter is usually sourced from factory-farmed cows that are fed a diet of GMO grains and injected with antibiotics and growth hormones. Kerrygold and VitalFarms are two popular brands that you can find in many grocery stores. **Note: If you are intolerant to lactose or casein, then you can use grass-fed ghee instead. Although collagen protein powder isn’t in the original Bulletproof Coffee recipe, I like to add it in order to upgrade my coffee even more. It gives a creamier texture to your coffee! In the old days, our ancestors used to make bone broth as a way to get extra nutrients, including collagen, from the bones and cartilage of the animal that you can’t find in the muscles of the animal. Today, most of what we eat is the meat from the animal’s muscles. As a result, we’re not getting much collagen in our daily diets. But, for those of us who barely have time to even read this blog post, a high quality collagen protein powder is the best alternative. Add it to your Bulletproof Coffee for a creamier texture. You can also add it to your smoothies too! CAUTION: You do not want to ingest collagen protein unless it’s from pasture-raised animals. Bulletproof Collagen meets these standards. Directions: Add all ingredients to a blender and blend until frothy. Unfair Advantage Supplement – A new proprietary liposomal delivery system that uses Brain Octane® oil and other special fats to help your body preferentially absorb Active PQQ™ and CoQ10 to power peak performance. It works at the cellular level, supporting mitochondrial health and efficiency to help the power plants in your cells create energy. Fat Water – Keeping the same line of thinking in mind with using fat for energy instead of carbs/sugar, Fat Water contains micro droplets of Brain Octane Oil for fast energy and is also fortified with B vitamins. It’s sweetened with Xylitol, which doesn’t spike your blood sugar. And, they taste AMAZING! No bitter aftertaste at all! Pineapple is my favorite flavor. 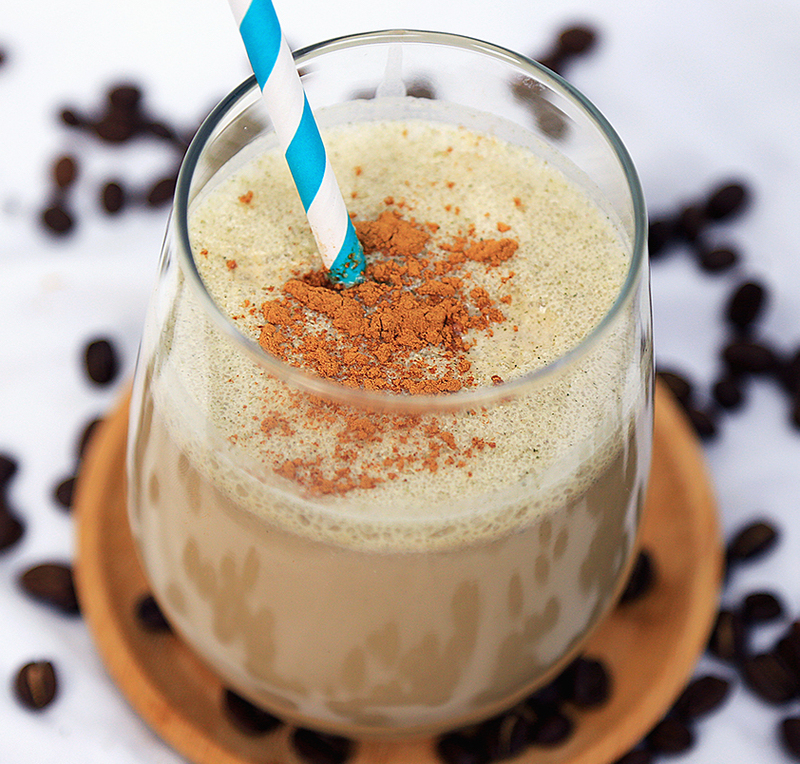 Ever since the Bulletproof Coffee trend began, several of us in the health community have come up with other “Bulletproof Style” drink blends that yield similar results. In the free PDF below, you’ll get a vegan version of the Bulletproof Coffee, a Fat-Fueled Bulletproof Hot Chocolate, a Matcha Latte, and several more delicious blends. 59 Responses to Bulletproof Coffee: Can This Drink Really Boost Brain Power & Increase Fat Burning? you have to be concerned about salmonella poisoning? Also can you also add the egg shell membrane too then to help joint issues? If you’re going to add raw egg, it’s imperative that you get organic, pasture-raised eggs to assure the highest quality. Otherwise, I wouldn’t recommend it. Same goes for the shells. If u use decaf bullet proof coffee/ with the recipe – does it reduce the weight loss effects? Typically, it does not. But, be sure to get a clean decaf, such as Bulletproof. Regular decaf is washed with chemicals to eliminate the caffeine. Look for one that uses the swiss water processing. Can I drink this while breastfeeding? For most women, it is safe. But, as always, consult with your primary doctor to verify. Is Zylitol as a sweetener okay? Or no sweetener at all? Yes, in small amounts. Be sure it’s xylitol derived from birch hardwood, not corn, to avoid GMOs. Just type in birch xylitol on amazon and you’ll see plenty of options. But it can be very hard on the digestive system causing pain and diarrhea. Research and then track your results. I can’t use it without discomfort. Please clarify. You can’t use what without pain and diarrhea… Bulletproof Coffee? I have been enjoying Bulletproof for about a year now, but haven’t tried adding the Collagen….very interested in that! Your recipe doesn’t have that listed but you did say it gives it a creamy texture …how much of it do you add to your Bulletproof when making it? Thank you for your article! Will share it with others…have so many that think I am crazy by adding Kerrygold butter and MCT oil to my coffee!! This is a great article to explain why!! I have tried a few different times (and I truly enjoy it while drinking it) – but it causes me severe heartburn. Any suggestions?? Have you tried drinking it with food instead of on an empty stomach? If so, does it still cause heartburn? Swapping butter for ghee is a great idea… I, personally, use grass-fed ghee. Decaf is okay too as long as it says swiss water processed. Otherwise, most decaf coffees use chemicals to “wash” the caffeine from the beans. Bulletproof decaf beans use the swiss water processing and are very clean. I love the taste of coffee but I’ve never been able to drink it because it upsets my stomach. It’s too hard on my digestive system…I think it’s largely due to the acidity level. Is bulletproof any less acidic or easier on the stomach? Thank You! Does it only upset your stomach when you drink it on an empty stomach? Have you tried drinking it with food? I only have half my pancreas and cannot process fats. I am overweight and barely consume 1200 calories a day! I think I need to consume healthy fats to lose weight but I can’t eat them without feeling pretty sick. Is there a viable solution? This would have to be something you discuss with your doctor or work one-on-one with a nutritionist. I suggest you take an overall natural supplement that is replete with an almost complete profile of necessary nutrients required by all major systems in our body in order to support the physiology of those systems. You may check for seabuckthorn berries with 190 types of bioactive nutrients with an impressive medical research. I have been adding coconut oil only to my coffee, am I missing out on the whole benefit by not adding butter too? Grass-fed butter does contain more fat soluble nutrients, such as K2, so I’d definitely suggest adding it. It also gives it a creamier texture. Great article confirming what I’ve already experienced! I’m a long time black coffee drinker who decided it was time to take action after my doctor use the term “obese” describing me health and weight. Initially the idea of butter in my coffee sounded repulsive, but I decided to try it, along with plain old virgin coconut oil feom the grocery store. I drank a greasy mess unblended for a couple of weeks, then decided to buy a blender after dropping 10 lb. quickly. What…a…difference! It’s so smooth and creamy. Very rich flavor! I’ve progressed to grass fed butter and Brain Octane Oil and haven’t looked back. 50 lb lighter and six inches skinnier waist. You are preaching to to the choir here, sistah! WOW! Wonderful testimony…thanks for sharing! I have never drank coffee. Can I sue tea instead, hot tea? Also does thi add to much choloestrol or fat to your heart? Yes, you can use tea instead of coffee, but it will change the taste. If you use high quality fats, such as butter that’s from grass-fed cows, then a small amount per day shouldn’t affect you negatively. In fact, our bodies need healthy fats for optimal health. Of course, I would let your doctor monitor your cholesterol levels just to make sure if that’s something you’re concerned about. I’m so happy I switched to Isagenix coffee which is organic and contains oil and trace minerals! It’s so smooth and high PH!!! SUPER easy too and I can drink black coffee again!!!! I agree with everything you said about the health benefits!!! I’m going to try it with some of your recipes!! Do you normally drink coffee on a regular basis already? If not, then I would opt for decaf. You really have to be careful with decaf coffee ! Regular decaf is “washed” with chemicals to get rid of the caffein. You can find “swiss water processed” decaf beans online or in good coffeeshops or healthfood stores. Otherwise you are doing more harm then good. Completely agree! Bulletproof uses this method for their decaf beans. Before I dive into this and spend money on all the ingredients, what does this bulletproof coffee concoction taste like? I’m a black coffee drinker, does it taste like regular coffee at all? Thanx in advance! The MCT oil and grass-fed butter will give it a creamy texture (after you blend it in a blender), which makes the texture more like a cappuccino. As far as the taste goes, it’s not sweet at all unless you add a sweetener. But, the oil and butter reduce the taste of the coffee, so I usually make my coffee a bit stronger than I would if I were drinking the coffee black. Once you get used to it, it’s really good and you’ll actually acquire a craving for it. Kayla, are you saying it is fine to drink this as a normal coffee with adding anything to it? I recently purchased some from Amazon and waiting for it to come in, I was curious to know if drinking it black still has benefits at all. Without adding anything to it, was what I meant to say. awesome. Learned about the 16 hour continuation of the elimination cycle in the 80’s from a book entitled Fit for Life by Harvey & Marilyn Diamond. Been telling people for years…You are the first person I’ve seen refer to it again. Their book taught natural body cycles and proper food combining and they suggested that you can still have a piece of water soluble fruit as well and still continue on your 16 hours. I’d anxious to try this. Recently purchased MCT oil from Nutiva. Already use Kerrygold. Thanks for this article and am downloading the pdf. Can decaf coffee be used instead of regular beans for those of us that can’t drink caffeine? Yes, absolutely. Bulletproof brand carries a decaf line that uses the swiss water processing, which yields a much cleaner result. Ok, butter in my coffee freaks me out! Does this taste good? I was not a coffee drinker as a matter of fact I thought it was awful but I really like the bulletproof coffee. I got some grass fed vanilla bean butter from Meijer and it is AWESOME! I’d like to know how many servings of Bulletproof Coffee in the morning is a good idea – particularly for older woman. Thanks. I suggest 1-2 C. depending on how well you respond to caffeine. If you’re sensitive to caffeine, then go with 1 C. in the morning only (no afternoon coffee). When I make my Bulletproof Coffee, I use about 1.5 C. of brewed coffee. Any chance tbere is a cappuccino i can use? Kcup maybe? I love this coffee! How can I find more information supporting how his brand are what they say they are? Grown where, packaging process, mold testing? I’d love to really understand and believe in these beans! 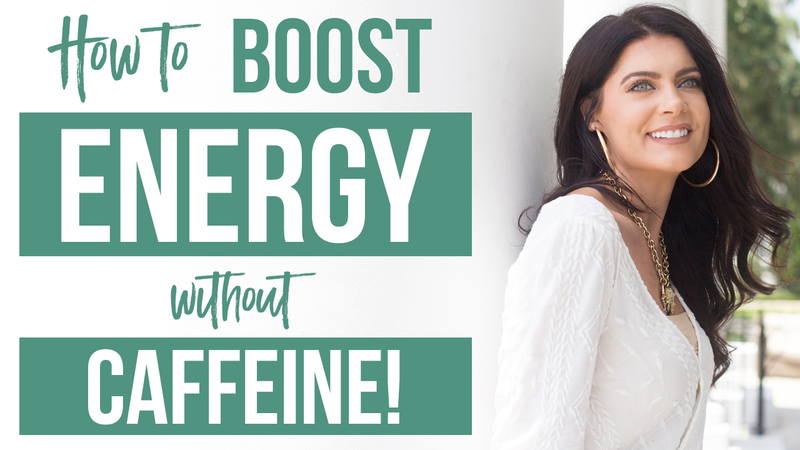 Hey Lori!… Yes, for most people they can drink the bulletproof coffee before the 16 hour fast is up and still lose weight since it doesn’t trigger a major spike in insulin, which ensures that your body stays in the fasted, fat-burning state. Keep in mind, everyone is different though… the only way you can be certain is to give it a try yourself for about a week.